College enrollment numbers have dwindled nationally since 2011, but one small college in North Carolina’s mountains has found a way to reverse that trend in a big way. 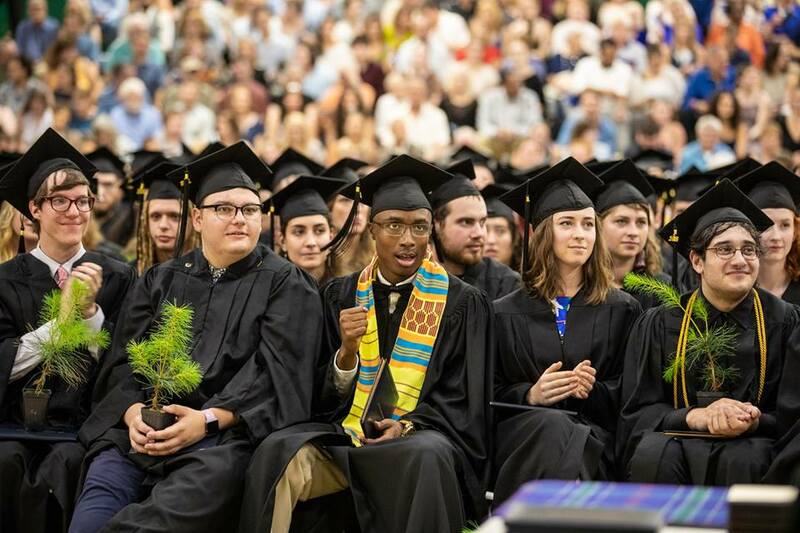 Warren Wilson College’s new North Carolina Free Tuition Plan guarantees a tuition-free college education to every eligible incoming North Carolina undergraduate student. The plan helped bring in not only the largest incoming freshman class in the college’s history, but also the largest number of new North Carolina first-year students the college has had for at least 20 years. The fall 2018 group of new students broke multiple records for Warren Wilson, a partner school in the Sullivan Foundation network of colleges and universities. 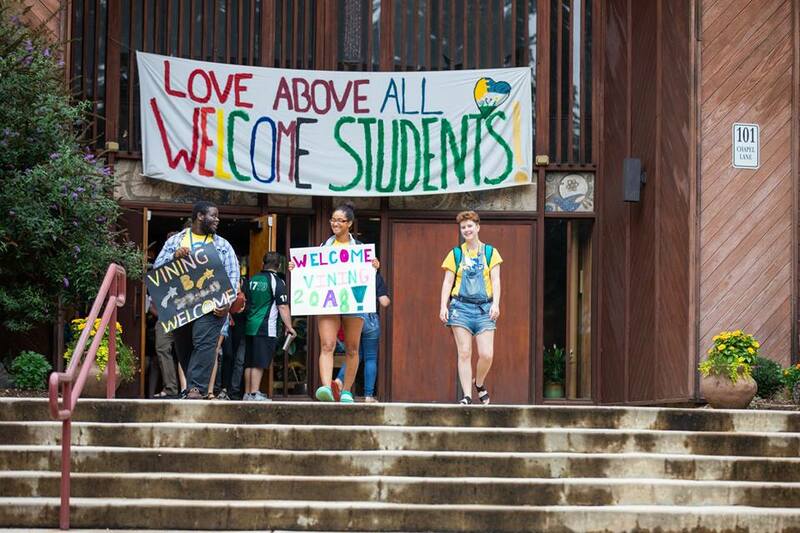 The college welcomed 302 new students this year, and 250 of those were first-time students, the largest freshman class in the college’s history and a 71 percent increase over last year’s freshman class. Of the new freshmen, 104 were from North Carolina, a 246 percent increase over last year’s first-year North Carolina freshman numbers. Official census numbers are determined on the tenth day of class. Given that national enrollment numbers for colleges and universities have decreased steadily every year since 2011, according to the National Student Clearinghouse and The Chronicle of Higher Education, this record-breaking incoming freshman class size for Warren Wilson is particularly surprising. Community engagement is a requirement for graduation at Warren Wilson College. 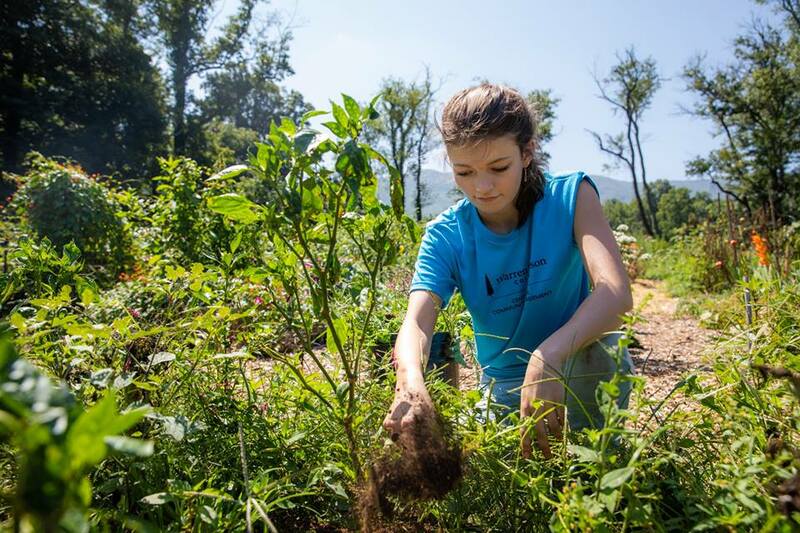 Here, a student works at a community garden as part of the school’s Service Day observance on August 23, 2018. “College enrollments are largely flat or down across the country, so Warren Wilson College’s results are extraordinary given the current environment,” said Kevin Crockett, Senior Executive at Ruffalo Noel Levitz, a higher education consulting firm where Warren Wilson College is currently a client. Crockett has over 20 years of experience developing enrollment and retention strategies. Concerns about student loan debt have recently made national headlines. Student borrowers in the United States currently average loans totaling $22,000 by graduation, according to the National Center for Education Statistics. As Davis’s work at the preschool center shows, Warren Wilson College’s experiential education model fully integrates its liberal arts curriculum with work experiences and the Community Engagement Commitment, a graduation requirement that involves sustained community service work. “We know that the NC Free Tuition plan has not only enabled more North Carolina students to attend Warren Wilson College, but it will also allow local students to invest the knowledge and skills that they gain here right back into our community and our state,” said Morton. This article was originally published on the Warren Wilson College website.